Peace and serenity abound in these beautiful mountainous surroundings. 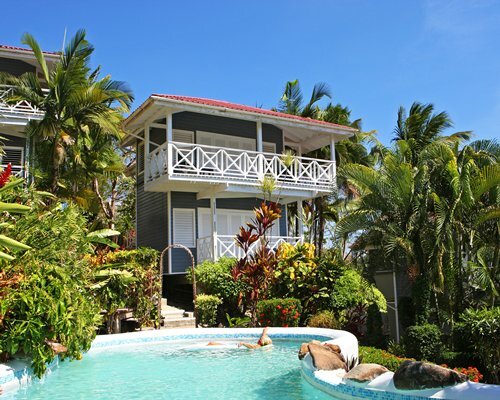 If you are interested in a very quiet, laid-back, out of the way destination with minimal distractions, Oasis Marigot is perfect. 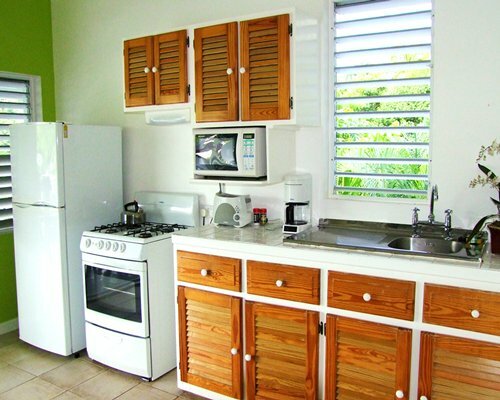 On site amenities including a pool and a few local restaurants nearby. 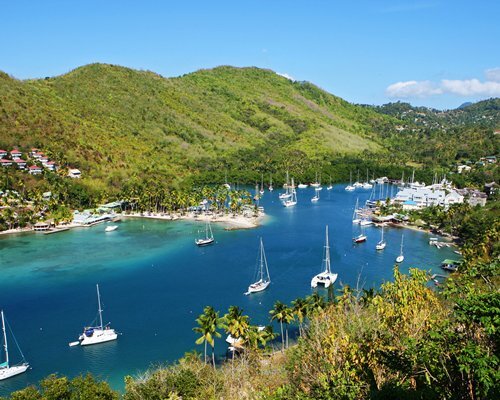 There is a PADI dive center in Marigot Bay along with a small beach. Nearby you will find a nature trail for hiking. 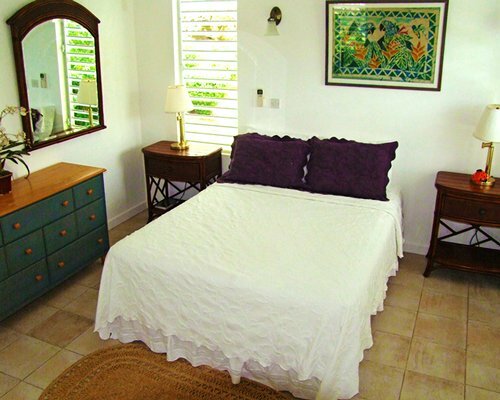 All units are private sea houses that are 1BR OCC: Max 4/Pri 4 and have 3/4 bath (shower only), 1 queen bed, 1 double sleeper sofa and a full kitchen. 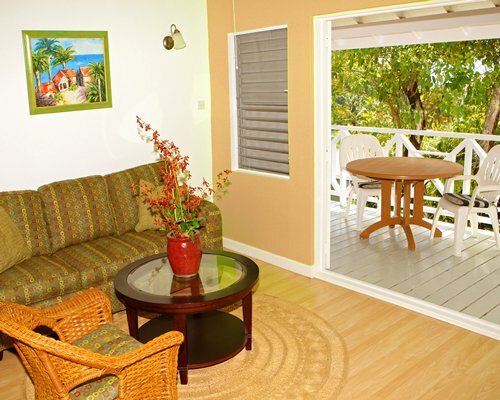 On the upper floor, accessible by stairs, is a large covered veranda overlooking the beautiful Marigot Bay. The units are 2 levels and have many stairs. The units have 2 ceilings fans, AC for the lower bedroom only and NO TV. As this resort is in a hilly area, there are many stairs to climb, and the resort is not equipped with an elevator. Vigie Airport is 8 miles away, and Hewannora is 30 miles away. Check-in is at the Oasis Marigot Porter Service Station. The cost of taxi from airport is a fixed rate regulated by government. At the time of writing for 1-3 persons: US$80 one-way from Hewanorra, US$40 one-way from Vigie. 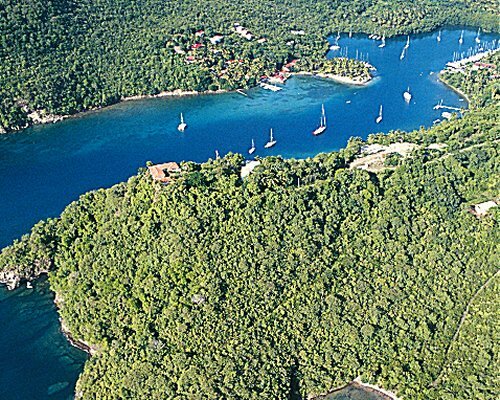 The resort is accessible only by ferry (fee required) The ferry ride takes a few minutes. 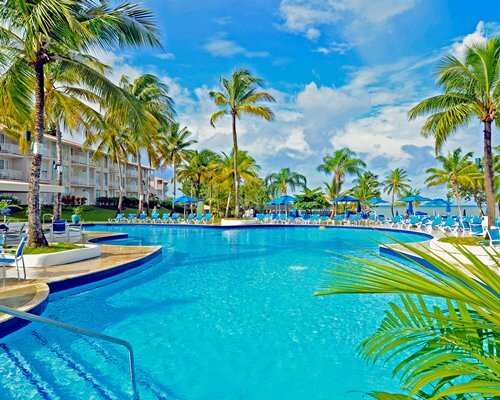 Guests MUST call the North_American Office for the resort at least 4 days in advance at 1-800-263-4202 (Worldwide 00-800-2785- 8241) to confirm their check-in time. 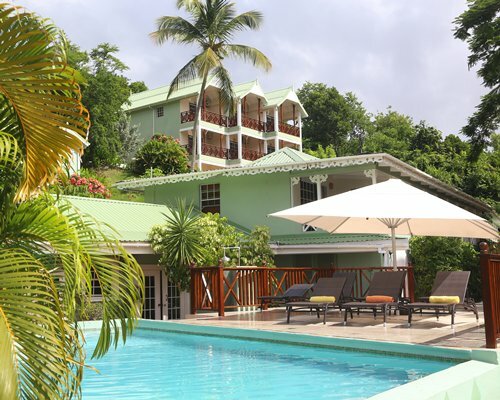 For last minute confirmations, call the resort directly in St Lucia at 758-451-4185. If you fail to advise the resort ahead of time, you will not be able to check-in. Transportation fee is 20 U.S. dollars. Cash or Credit is accepted. 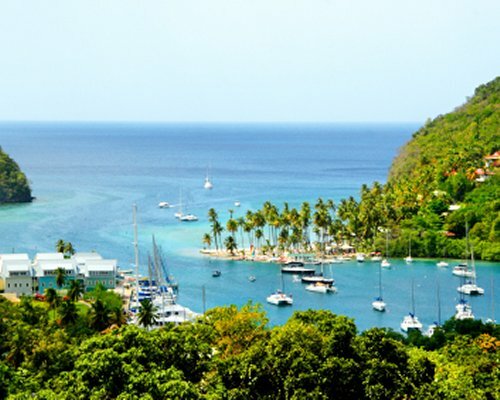 FERRY PASS per passenger for unlimited use between the North side of Marigot Bay and the mainland. Resort is accessible by ferry only. The WEEKLY FERRY PASS is US$20.00 per passenger. There is a lift-track to provide guests with transportation up the hill for check in. Please contact resort at 800/263-4202 to make arrival arrangements. From Hewanorra International Airport to resort is 1.5 hours along very winding roads. 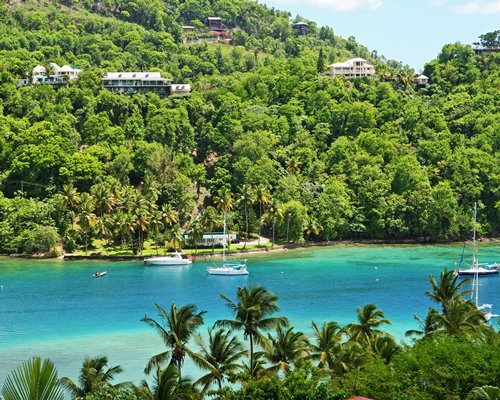 Best to take a taxi and get rental car in Marigot Bay. NA office can be reached at 800-263-4202 at least 4 days prior to arrival.